Celebrate the New Year with HiFi’s exclusive countdown of 2010’s biggest hits! 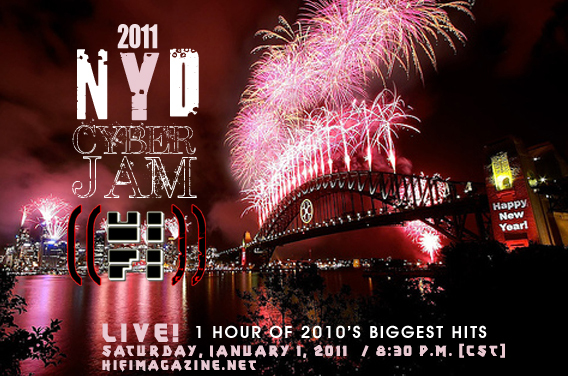 Celebrate New Year’s Day 2011 with us at HiFi Magazine with a special 1-hour celebration of some of 2010’s best hits. Expect to hear great music from Ke$ha, the Black Eyed Peas, Train, Usher, P!nk, Robyn, LCD Soundsystem, Chris Brown, Cee Lo Green, Maroon 5, Katy Perry, Trey Songz, Nicki Minaj, Justin Bieber, Lady Gaga, Jaheim and many others.